We are starting the Year 2017 with a very special project for you. 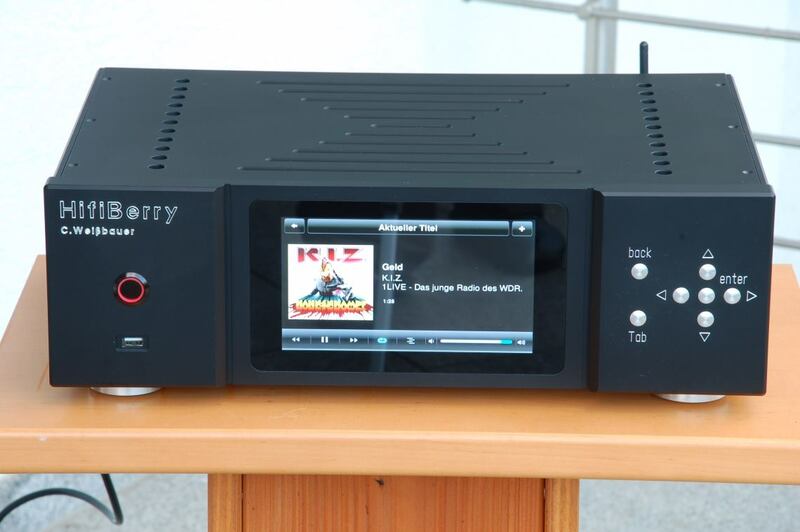 Our user Whity built a media player with a display in the case of a classic stereo which can be controlled both by a tablet and manually on the streamer itself. To satisfy his high, audiophile demands, he put a lot of thought into it and made some interesting choices in his components. In the last few months, many Max2Play clients were added in our home, the system is beloved by our whole family (incl. my wife 😉 ) and a complete infrastrcture, based around a Synology NAS is already in place. Now we wanted to add a player for our music room that should be running in a classic stereo casing but also not create a sound quality bottleneck when combined with high-end HiFi devices. The idea for my „Hifiberry“ was born. 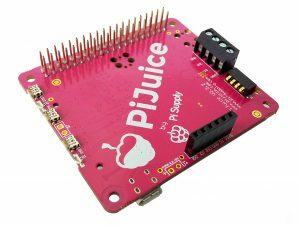 For this, the HiFiBerry board’s resistor responsible for the output section is removed and instead the power is locally added spearately. Sounds complicated, but it’s not! A detailed tutorial can be found in the HiFiBerry forums. Now the display is configured so that the title is automatically displayed and the player can be controlled from the touchscreen. 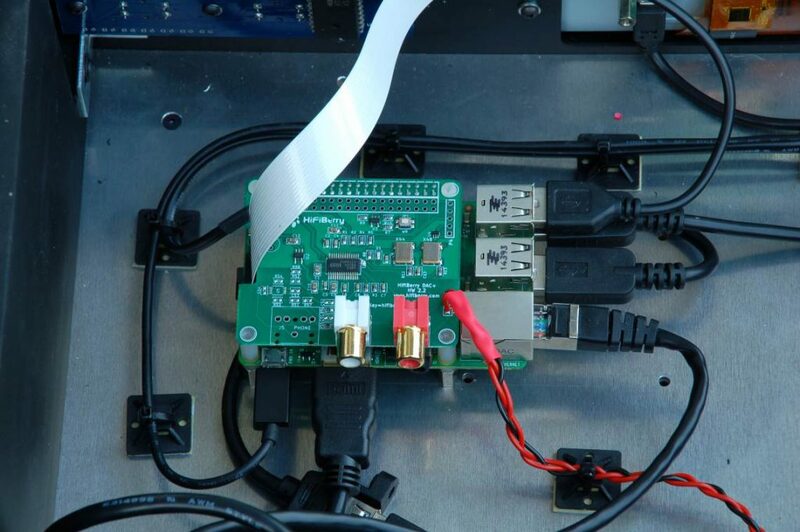 For this, we need to head over to the menu „Jivelite“, activate the autostart and install the Joggler skin for 7″ displays, save and reboot the Pi. First I had to look for the setting that automatically selects and displays the right skin. 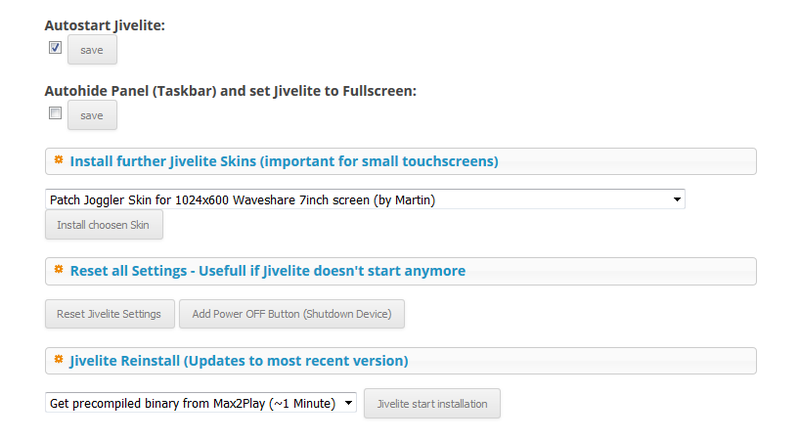 Just go to the display options in the Jivelite interface and set the screensaver to „Now playing views -> artwork and text“. 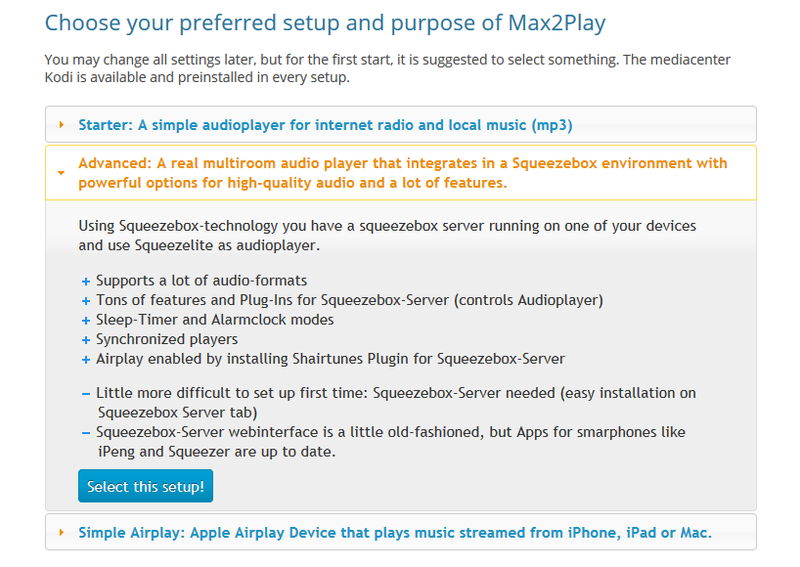 As our preferred setup, we select „advanced“ and then click „Select this setup!“. Whity has sent us a list of the necessary parts, making a rebuild of his project easier to realize. 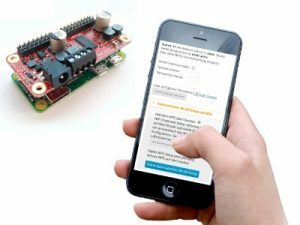 Great project ! I would love to build something similar. It appears that a quality linear power source as well as component isolation is essential. 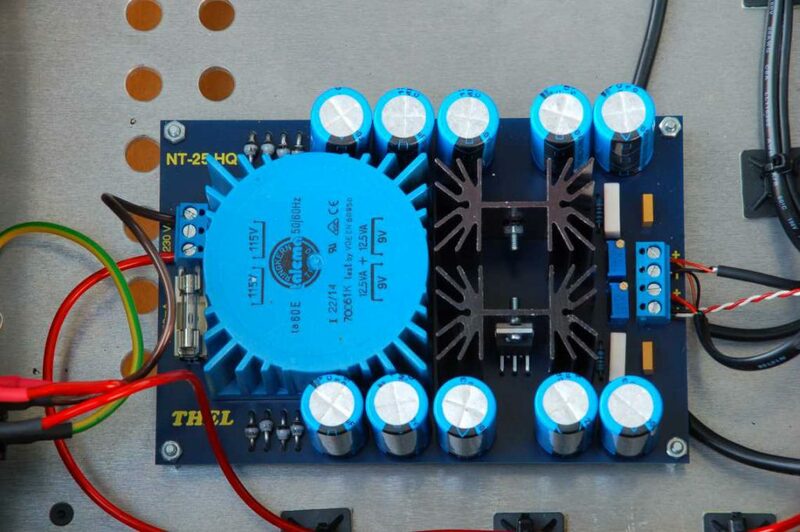 Regarding power source, I note that the Thel NT25HQ appears to be only available at 230V input. The Thel looks ideal but useless in my 120V environment. Do you have any suggestions regarding a quality linear 120V input, dual output 5VDC power source on a circuit board? Additionally, where did you source the fine looking enclosure? Is it possible to provide parts list? I’m whity the builder of the HifiBerry player. It’s in Europe somewhat difficult to get hardware with 110V operating voltage. At the moment I have two options for you. 1. Write an email to Thel Audioworld. Mr. Thel is very competent and realizes almost every customer wish. He does not for the first time sell to the US and knows a solution for vou. 2. The Chinese shop Alibaba offers linear power supplies. I have not tried them myself, but they are highly praised in the german DIY audio forum. 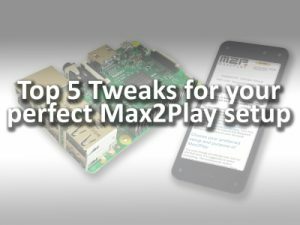 For a piece list was already asked more frequently, so I will create one and publish it on MAX2PLAY in the coming days . The housings I will manufacture and offer as small series. If you are interested, please write me a short mail to [email protected]. So you will get the latest news. Thank you for responding, again, a great piece of work on your part. Looks very, very nice! Especially the screen is very nicely implemented! 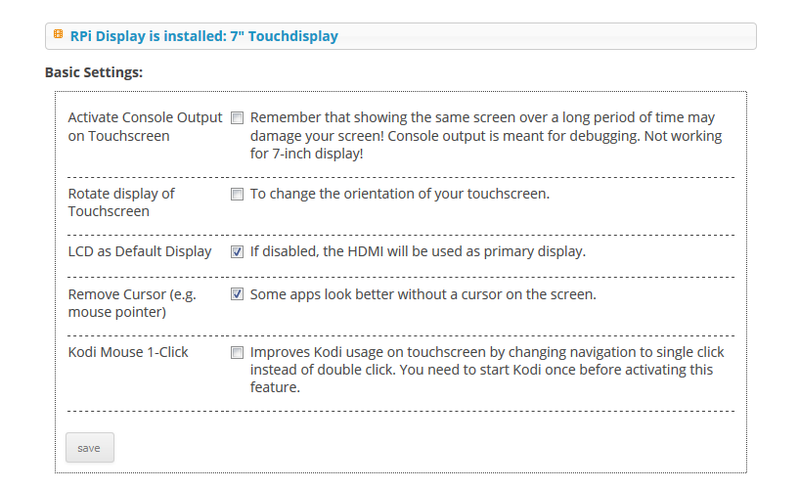 Is there a reason not just to use a touch screen iso buttons? I’m planning on a similar project, Odroid C2 based, VU8 touch screen, Soekris DAC and Hypex amplifier all-in-one. 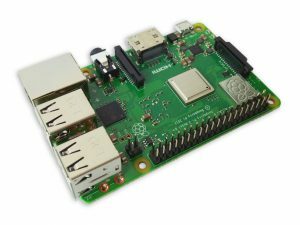 Hi, thats the greatest project I saw for Raspberry for HD Audio. Case looks awesome. Very professional. I’m particularly interested in the control keyboard you used, now I don’t seem to find stock of this item, do you know anywhere I can find it? Whity got this panel from Audiophonics. You can head to his site, http://www.weissbauer.com for direct contact and further information on his build. Unfortunately, this was a custom creation by Whity the writer of the article. He had to take down his website some time ago. 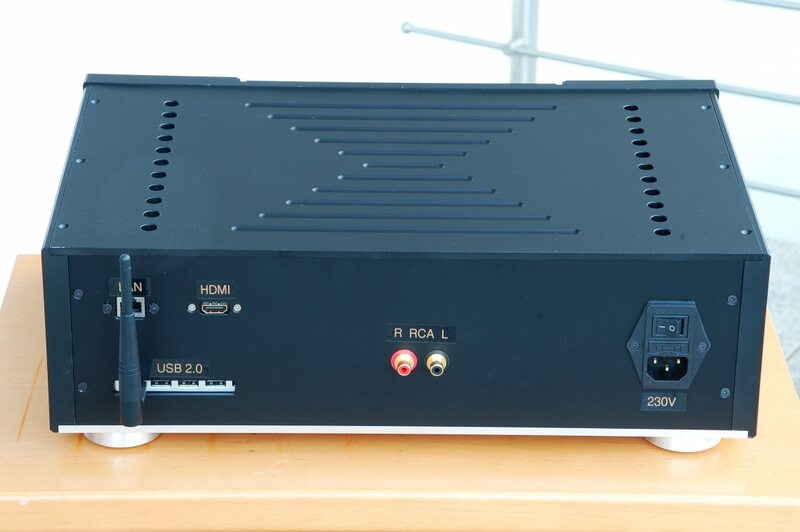 Hi, I’m hoping to do something similar in a full width hifi case (without display) but I’m using the IQaudio DAC. 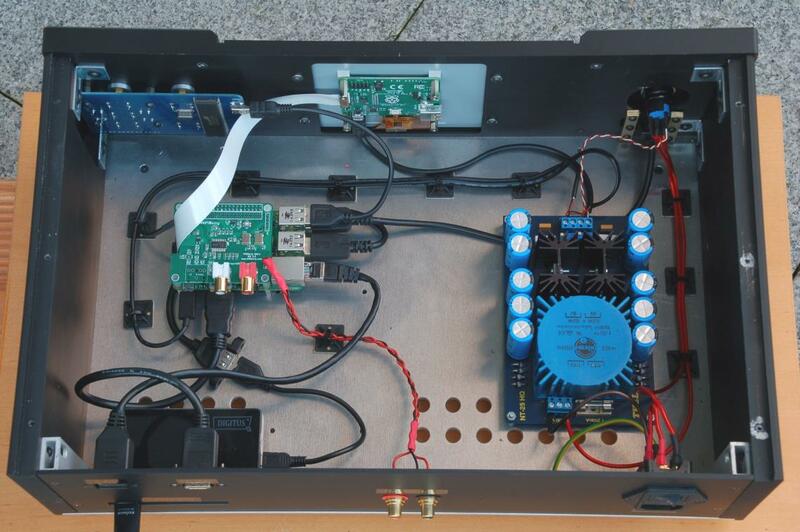 Do you have a wiring diagram from the THEL power supply to how you powered the DAC and Pi? 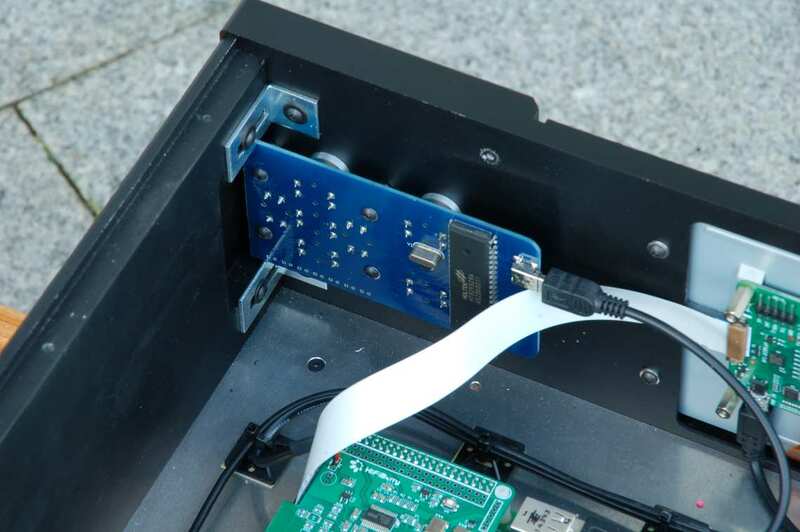 This project is the one I would like to realize, unfortunately I can not find any information about the case. It is unfortunate that the Whity site is closed. I hope we will soon have all the information to recreate this project. Could you specify the information you would still require from Whity? I’ll try to contact him and ask if he can find time to reply here.